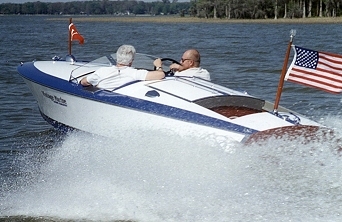 Prewar style Chris Craft Racing Runabout, 19' during sea trials on Lake Dora, Mt. Dora, FL. 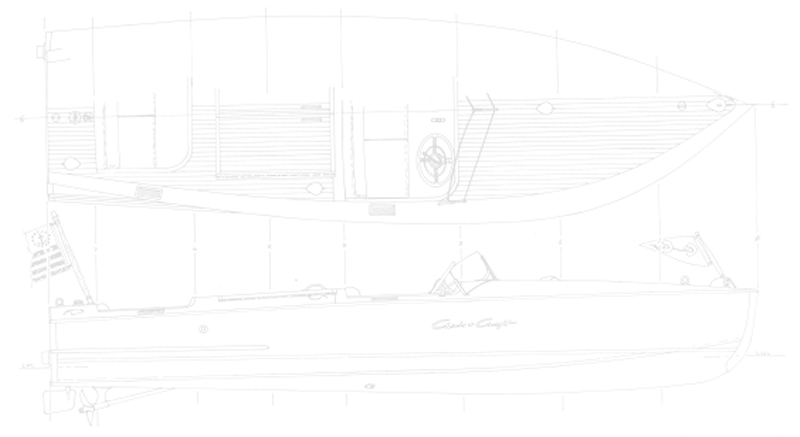 With the 315 hp Mercruiser fuel injected V-8, she achieved speeds of 53 mph.